Open Streets is a 40-year-old global movement inspired largely by Ciclovía in Colombia. More than 400 cities, on almost every continent, have joined the movement with their own Ciclovía-inspired programs. 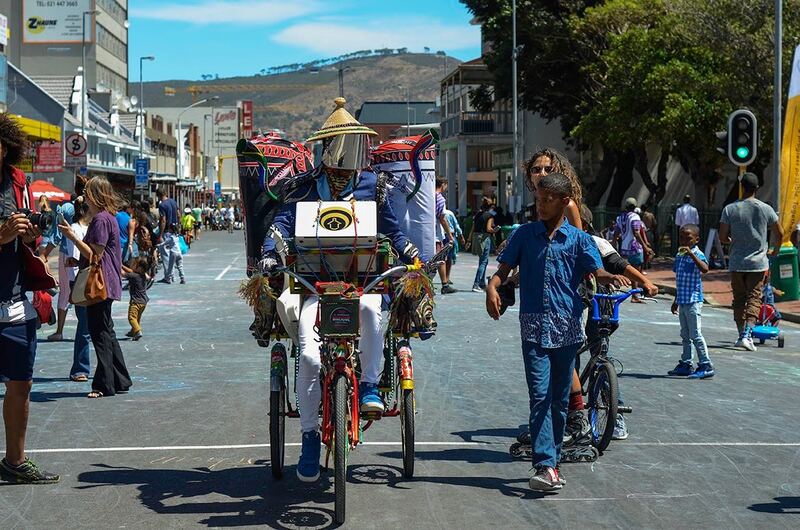 In 2013, the South African nonprofit organization Open Streets Cape Town (OSCT) hosted its first Open Streets Day. Since then, it has hosted 16 across the city, attracting between 3,000 and 15,000 participants at each one. 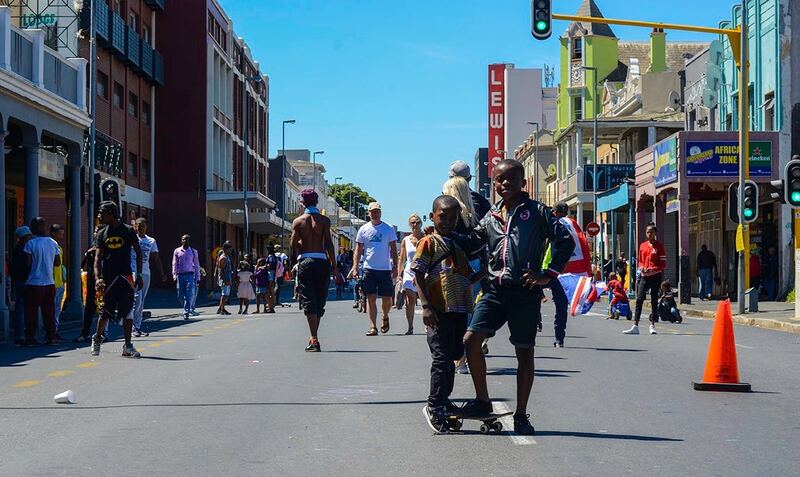 Co-founder of Open Streets Cape Town, Dr. Lisa Kane, believes that by embracing this concept, we can all create shared spaces that embody respect and can help to bridge divides in our cities. The early Open Streets group in Cape Town was an eclectic bunch of planners, social workers, engineers, events people, and mavericks. They were professionally diverse, but shared a common fascination with streets. And being together made them realise they shared something worth exploring. That “something” was, in the beginning, difficult to pinpoint. Individuals’ passions came together through talks – face-to-face and online – about streets, Ciclovía, cycling. Through these meeting points, often fueled by strong coffee and late nights online, the disparate urban street geeks slowly came together. Organizing meetings, keeping a green shoot of something alive and holding the faith takes commitment and energy. At Open Streets Cape Town, the champion of the as-yet-unarticulated cause was Marcela Guerrero Casas. In the first six months of Open Streets, she curated a trial by email that tested the commitment and interest of the initial group and allowed the organization to form organically. The many emails flying around in the first six months were largely trying to articulate who or what we were and what we stood for. Those initial words acted as a guiding star. But more than that, through thrashing and discussing, a shared understanding – a sort of ethos – started to emerge. Throughout the Open Streets journey, many wise sages have guided us. They drew us firmly out of the clouds of vision-making and planning and into practice and doing. In particular, they insisted that we needed to make something more than words if we were to survive. We needed to do something on the street. Others, thankfully, joined in along the way. They shared some or all of the dream and joined as team members. A special mention goes to the first, Rebecca Campbell and Mzikhona Mgedle, and the working group members and volunteers. Without them we were just a bunch of crazy people. “There are no mistakes,” we decided, “only experiments we can learn from.” This mantra frees us all up from too much planning anxiety and opens us up to be surprised and to keep learning. We believe, but also know from our experiences, that cities are complex, multifaceted places. We are not in control here. We can nudge and coax and make contingency plans. But we cannot know the whole picture and we do not have the whole plan. To experiment is not to be irresponsible. Our bottom line is to create safe spaces for those using the platforms we curate. Next up is to be respectful with each other and with the planet. This ethos contains our free-flowing experimentation and allows it to have integrity. You can’t manage it, we have learned, until you know it. To begin with, we had no choice but to do the hard physical yards ourselves – putting out traffic cones, putting up posters, riding bicycles as marshals, taking sandwiches, picking up rubbish, sweeping and standing firm with angry drivers. Action born out of having no cash means that we knew in our bodies what it takes to run an Open Streets Day. A street used as a playground, a dance and music studio, and a place for human connection is a wonderful thing. We remind ourselves of this by going to Open Streets Days and encouraging others to join. Then, when the day is over, we practice a ritual of gratitude by sharing our “Open Streets memorable moment” of that day, with each other. Cementing in the wonder. We start our meetings with a check-in, pushing past the roles and hierarchies and asking: “How are you?” It’s a time to share what is “big” in your life right now that may be impacting the role you are playing at work. It’s a reminder of our shared humanity, with all its joys and vulnerabilities. It opens up a space for graciousness in what follows and reminds us that ultimately, Open Streets is about human connection.